Originally named Steiner's Settlement, after early German Carl Steiner. The settlement dates from the 1850s and is included in what is known collectively as "The Coleto Creek Communities." 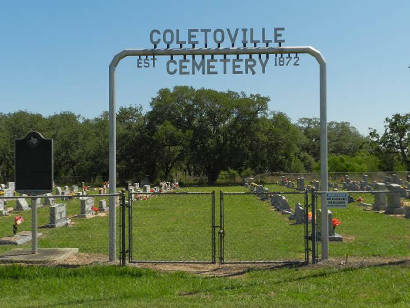 Over the years the name was changed to Coletoville after the creek that borders the communtity. The town had the envious position of being on the Old Goliad Road although that fact didn't guarantee long-term prosperity. The community had a Lutheran church by 1872 and a post office was granted three years later. A two-acre site for the church and cemetery site was set aside and today the cemetery (shown on the Victoria County TxDoT map) is the best way to find the site of the community. The post office was discontinued in 1877, and the village store lasted only seven more years. The nearby town of Raisin got the railroad when the Gulf, Western Texas and Pacific Railway came through in 1889. The Goliad-Victoria road also bypassed Coletoville and Raisin became the dominant town. The communities are consided a merger by many since they are only five miles apart. 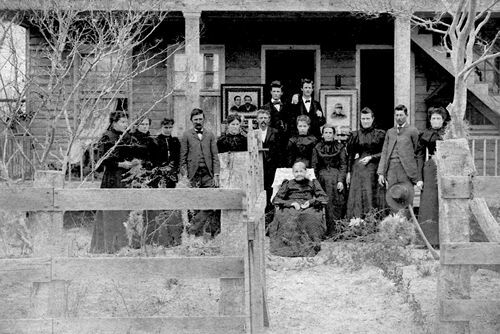 Together the population of Raisin-Coletoville was only 50 throughout most of the Twentieth Century. Many descendents of the early settlers continue to live in the area. 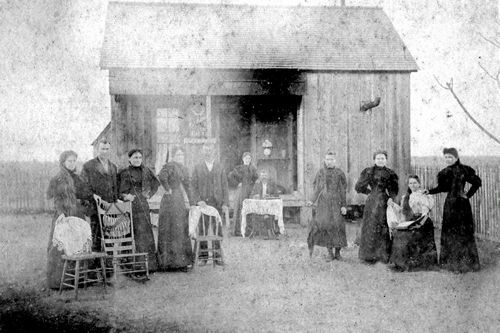 When an epidemic of diphtheria hit the German settlement of Steinerville, established in 1849, two of August and Thekla Spitzer's children died. Ten-year-old Henry and six-year-old Robert were buried by their parents in 1872 on this site. In May of 1872, the Spitzer's deeded the land to the trustees of the new school and evangelic German church of the German community of Steinerville. 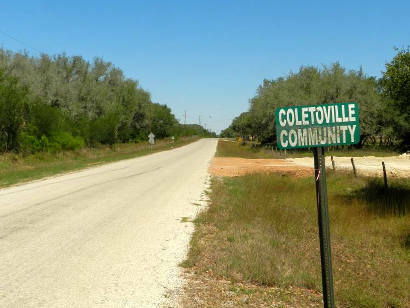 The community was later renamed Coletoville for the nearby Coleto Creek. Both Thekla and August Spitzer are buried in the cemetery. The oldest birth dates are those of Eva Voigt and Joseph Weiser, both born in 1812. Several veterans of major American and international conflicts are interred here. 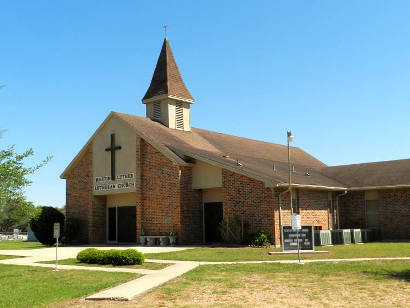 In 1970, the church, now called Martin Luther Lutheran Church, deeded the cemetery land to the Coletoville Cemetery Association. The church and cemetery became two separate institutions for the first time, though community members of all faiths have traditionally been buried here. Burial sites are marked in rows and spaces rather than in plots, and graves are arranged in consecutive order by date. Many of the oldest markers were originally made of sandstone. A 1997 count revealed 623 marked and 78 unmarked graves.